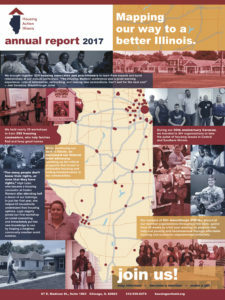 Housing Action Illinois has been charting the movement for affordable housing in our state for more than three decades. Our destination remains clear: an Illinois where all residents, regardless of income, have a safe, quality, affordable place to call home. From Steeleville to Freeport, Chicago to Springfield, we bring everyone together to map out this vision. Our 2017 Annual Report outlines the most recent highlights in our journey. 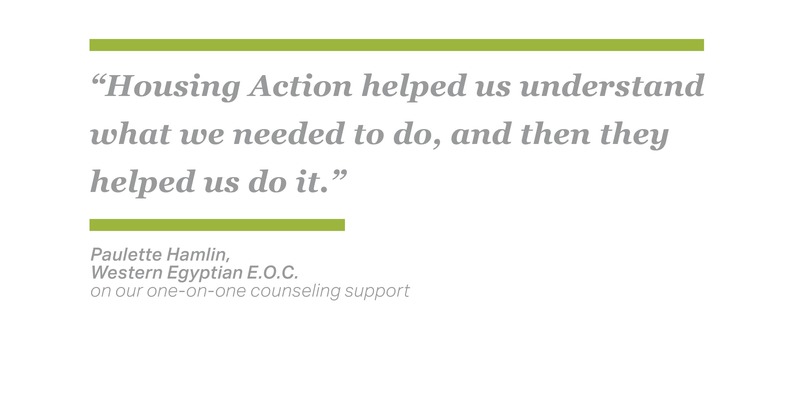 Whether it’s through the passing of state legislation that protects homeowners from predatory rent-to-own contracts or the counseling of some 10,500 households by our Intermediary network, our footprint is only becoming larger. With the support of our broad membership, funders, and partners, we can continue to put affordable housing on the map. 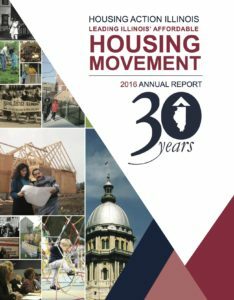 In the late eighties, 46 nonprofits who saw the critical need for a united voice for affordable housing in Illinois joined together. They called themselves the Statewide Housing Action Coalition. 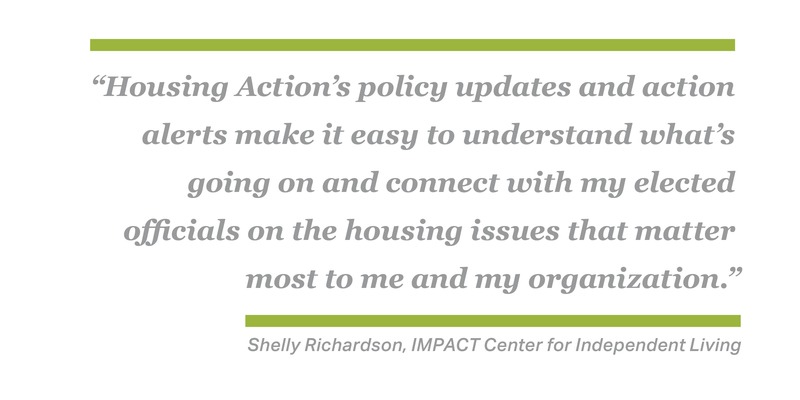 Thirty years and one name change later, Housing Action Illinois has grown into a powerful, wide-reaching coalition of more than 160 member organizations and the thousands of housing professionals, counselors, developers, and advocates who work for them. Our 2016 Annual Report celebrates the growth of our movement while also exploring the challenges that lie ahead of us. In today’s ever-shifting political landscape, it is more crucial than ever to protect and expand upon the policy victories we’ve achieved. With the support of our members, partners, and funders, we will continue to unite, inform, and grow our network of housing champions. Together, we can help create better futures and thriving communities by ensuring that everyone has a safe, affordable, and accessible place to call home. Thanks to the Taproot Foundation for your generous support and our dedicated Taproot team for helping us create this annual report. Housing Action Illinois has been working to build a stronger Illinois for nearly three decades. Our goal is clear: access to affordable, stable housing for all residents of our state, particularly those with the lowest incomes. Our blueprint relies on bringing everyone together, from housing counseling agencies and homeless service providers to policy makers and affordable housing developers, to make that vision a reality. 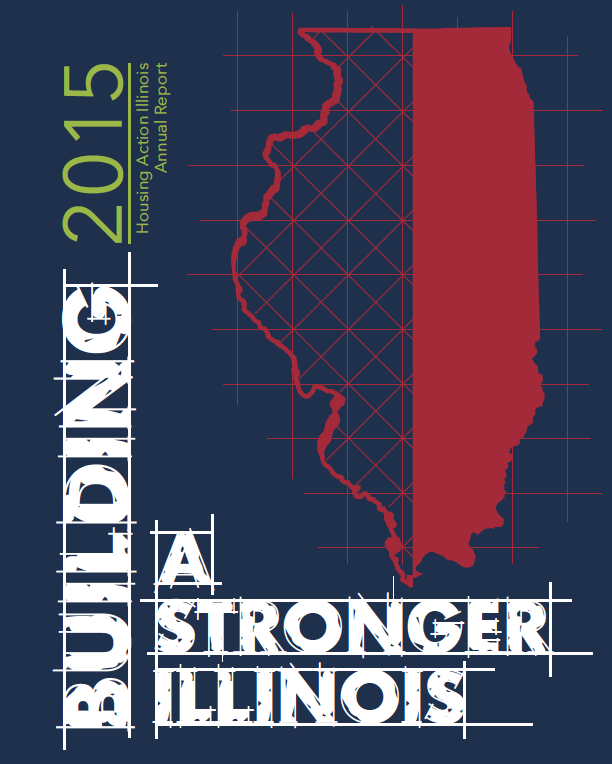 In our 2015 annual report, Building a Stronger Illinois, we’re proud to highlight some of our recent accomplishments. Of course, none of our achievements would be possible without the active engagement and support of our members, partners, and funders. Our deepest thanks for joining us in the fight to protect and expand quality, affordable housing throughout the state of Illinois!